Sharpshooters – Who will win the Bundesliga Goal-Scoring Race? The question regarding who will win the Bundesliga goal-scoring race was one of the major topics in this week’s World Football Index – Gegenpressing Spieltag Spezial Podcast. Anthony Modeste and Pierre-Emerick Aubameyang currently lead the race with 17 goals each, but Bayern München striker, Robert Lewandowski, who has scored 16 goals, is following them closely. Further down the line are Timo Werner, who has 12 goals, Bayer Leverkusen’s Chicharito, who has scored ten goals, and Hoffenheim’s Sandro Wagner, who also has scored ten goals. Both have an outside chance to win the Bundesliga goal-scoring race. We have taken a look at the six top Bundesliga strikers, and who has the best chance of winning this season’s Bundesliga goal-scoring race. Anthony Modeste was recently in the news after his club 1.FC Köln received a €40 million offer from China for the services of the 28-year-old French striker. The offer has since been turned down, and Köln, and Modeste himself, remain adamant that the 28-year-old will remain with the club for the rest of the season. Although an argument could be made that selling Modeste would make business sense, losing the striker at this point would be a major blow for the Billy Goats. An all around forward, who combines power well with technical abilities, Modeste has scored 17 of Köln’s 30 goals this season. Modeste is currently valued €12 million according to transfermarkt.de, and has become the symbol of the Billy Goats resurrection under the leadership of head coach Peter Stöger, and sporting director Jörg Schmadtke. 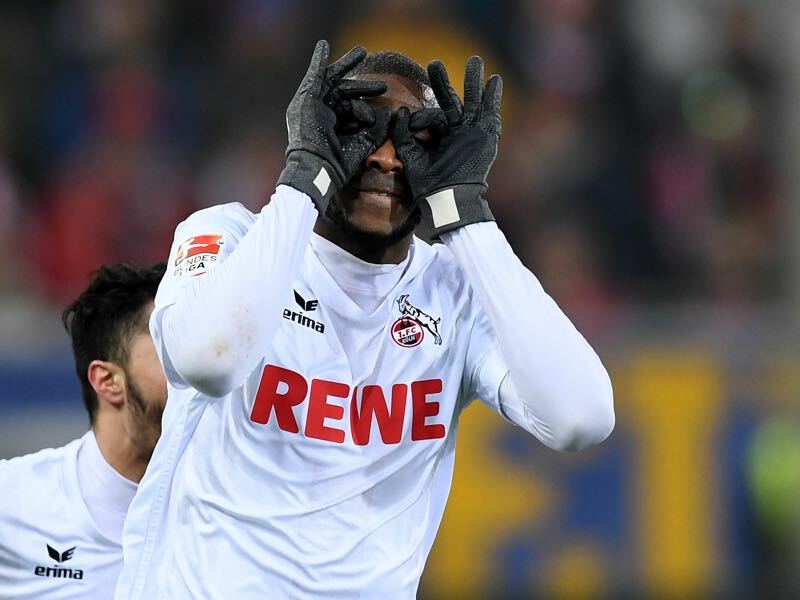 The one question that lingers over the rest of the season, however, is how will Modeste deal with the mega offer from China, and how will that impact the Bundesliga goal-scoring race. Futbolgrad Network Prediction: Modeste will finish third with 25 goals. Of the three top scorers in the Bundesliga goal-scoring race, Pierre-Emerick Aubameyang has the best goal per game ratio. 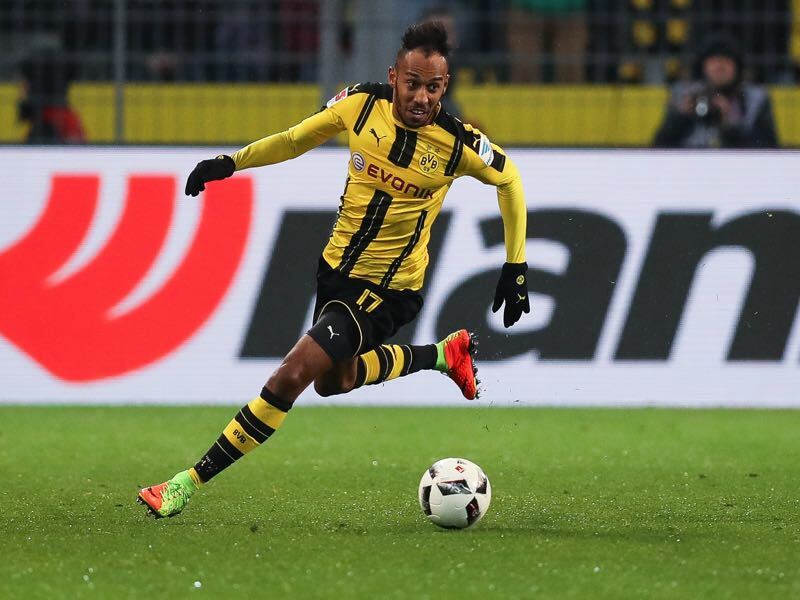 Aubameyang has scored 17 goals in 19 Bundesliga matches for Borussia Dortmund this season. On average, the forward has scored a goal every 99 minutes for Borussia Dortmund. Bought from AS St. Étienne for €13 million in the summer of 2013, Aubameyang’s value has increased to €65 million according to transfermarkt.de. Originally brought in as a winger, Aubameyang was converted to play as a centre forward by former Borussia Dortmund head coach Jürgen Klopp in the second half of the 2014-15 season. The move has been a major success for Dortmund and for Aubameyang, who has quickly become one of the most sought-after forwards in European football. This, however, has also meant that Aubameyang increasingly has been the target of transfer rumors. A recent controversial interview with a French station has caused speculation that Aubameyang could leave the club in the summer. But the price tag will surely be massive; it is speculated to be between €80 million and €100 million. Furthermore, Aubameyang has struggled somewhat to find the net since coming back from the 2017 Africa Cup—he misfired in three consecutive games against Darmstadt, Benfica Lisbon, and VfL Wolfsburg. But with 101 goals in 171 games for Dortmund, it will be only a matter of time before Aubameyang scores again. Futbolgrad Network Prediction: Aubameyang will finish second with 30 goals. Robert Lewandowski is perhaps the most all around forward of the three top scorers in the Bundesliga goal-scoring race. The Polish forward has scored 16 goals in 21 Bundesliga games this season, and added another six goals in seven Champions League games. What sets Robert Lewandowski apart from Anthony Modeste, and Pierre-Emerick Aubameyang, however, is his tactical ability, which makes him the most complete forward in the Bundesliga, and perhaps on the planet. Valued €80 million by transfermarkt.de Robert Lewandowski recently extended his contract at Bayern until 2021, which means that he will most likely finish his career at Bayern München. Robert Lewandowski has now scored 137 goals in 215 Bundesliga games. Because he plays with a prolific team like Bayern, there is little doubt that he will one day finish with the highest goal total of any foreign born player in the Bundesliga—the current foreign top scorer is Werder Bremen’s Claudio Pizarro. Lewandowski’s consistency means that he is the firm favourite to win the Bundesliga goal-scoring race this season. Futbolgrad Network Prediction: Lewandowski will finish first with 32 goals. RB Leipzig’s Timo Werner is currently fourth in the Bundesliga goal-scoring race. At just 20-years-of-age, Werner is also the youngest of the top scorers in the Bundesliga at the moment. At the same time, calling him inexperienced would be wide of the mark . Werner debuted for his hometown club VfB Stuttgart in 2013. Back in the 2013-14 season Werner dazzled mostly as a winger for VfB Stuttgart scoring four goals in 30 games. Werner was therefore quickly identified as the latest major talent coming out of Stuttgart’s prolific academy. 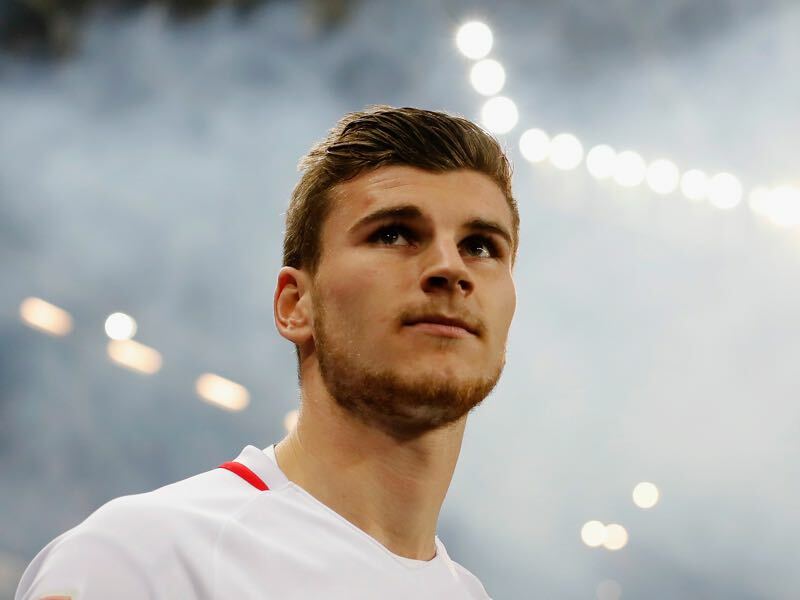 But after two seasons with Stuttgart, where he stagnated somewhat, Timo Werner decided to leave Stuttgart last summer after the club was relegated to Bundesliga 2. Now at his first club away from home, Werner has become an important part of Leipzig’s success story by scoring 12 goals and providing 6 assists in 20 games. Werner, who, this season, became the youngest Bundesliga player of all time to reach 100 Bundesliga games, is now worth €12 million according to transfermarkt.de, and is likely to become an important member of the German national team in the near future. 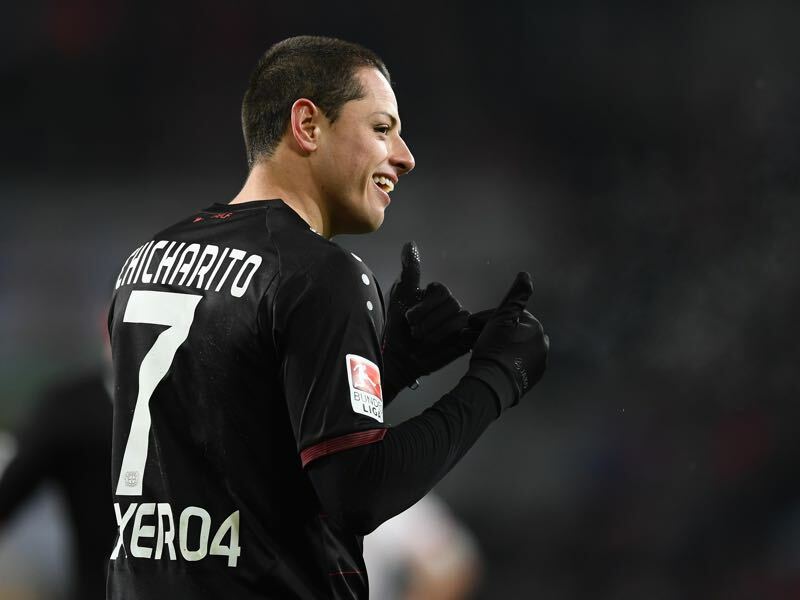 Javier Hernández, better known as Chicharito, is one of the biggest stars of the Bundesliga. The Bayer Leverkusen forward of Mexican descent is one of the major faces of the Bundesliga in its drive to become a popular league in North America. The Mexican forward is a major asset not just because of his nationality, but also because of his goal-scoring prowess for Bayer Leverkusen. This season, however, Chicharito has somewhat struggled to find the net. After scoring five goals in the first six matches this season, Chicharito did not find the net again until matchday 18. At some point, there were even rumours that he could leave Bayer Leverkusen during the winter break. Also, Chichartio was accused of being distant in the dressing room, and has been criticized for not doing enough to integrate into the squad. Thankfully for Bayer, and the Bundesliga, Chicharito and his club found a way to fix their relationship during their training camp in Florida this January. The result has been astounding—Chicharito has scored five goals in three matches for Bayer Leverkusen in the Rückrunde. Don’ t be surprised if the Mexican comes from behind to make a major impact in the Bundesliga goal-scoring race. Futbolgrad Network Prediction: Chicharito will finish fourth with 22 goals. 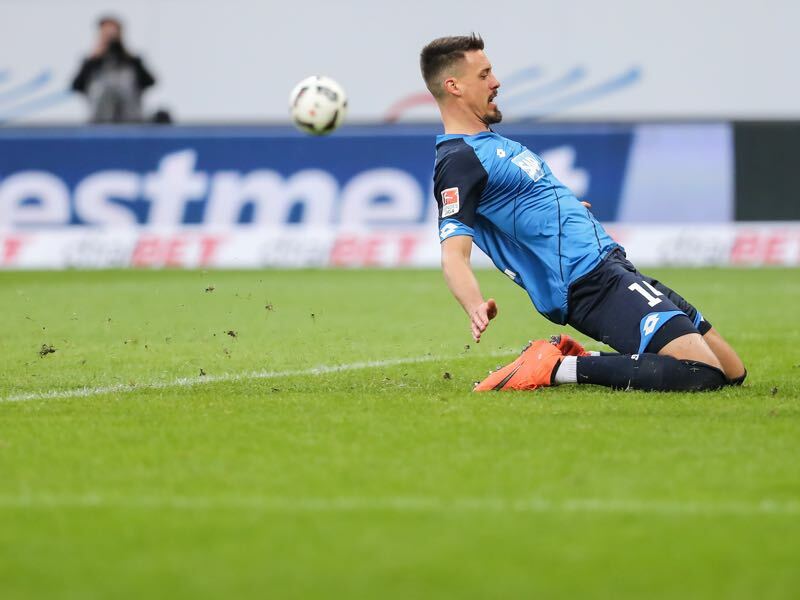 Sandro Wagner could be described as a Renaissance man. The 29-year-old forward has had a journeyman career since leaving his youth team Bayern München for MSV Duisberg in the summer of 2008. What followed were stops at Werder Bremen, Kaiserslautern, and Hertha Berlin. At Hertha, his career seemed almost over. Wagner could not find playing time, and was send away on a free transfer to Darmstadt 98 last season. What seemed like a low point in his career, however, turned out to be just the right move for Sandro Wagner. The power forward scored 14 goals in 32 games for Darmstadt, and was one of the major reasons for why Die Lillien were able to fight off relegation last season. Furthermore, his goal-scoring prowess attracted attention, and Wagner earned himself a move to 1899 Hoffenheim where, once again, he has been at the forefront of a minor revolution. Hoffenheim are currently fourth in the table and have a real shot at reaching the Champions League. Perhaps one small criticism of Sandro Wagner is his demeanour. He has a confrontational character who is not afraid to speak his mind, and also uses his body as a weapon on the playing field. As a result, Wagner missed two games this season due to red cards.